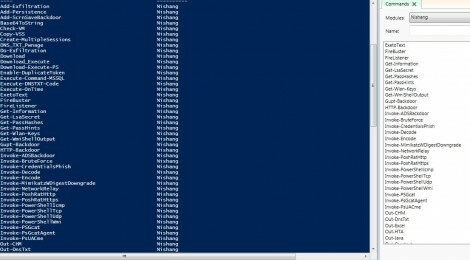 Browse: Home / Nishang v-0.6.1 – PowerShell for penetration testing and offensive security. + Added Show-TargetScreen to the Gather directory. Nishang v-0.6.1 released: PowerShell for penetration testing and offensive security. ← Automate blind RCE for Joomla vulnerability.